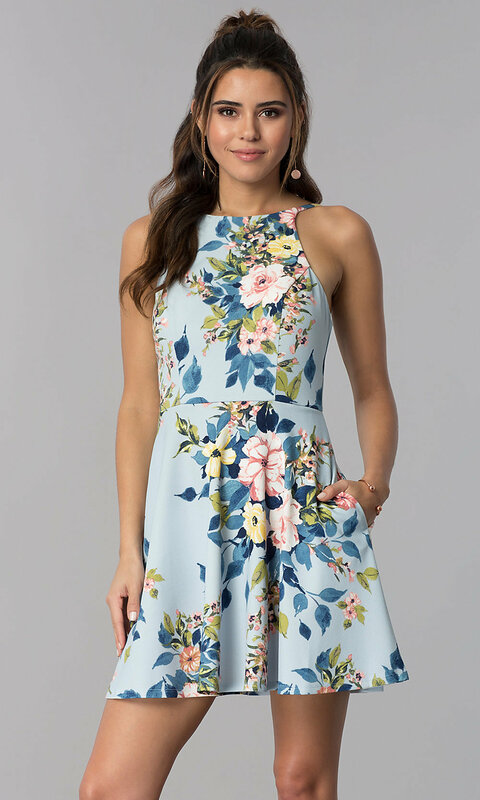 A gorgeous rose print makes this short blue party dress a delightful option for cruises, weddings, and family celebrations. 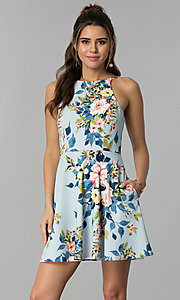 The sweet print dress from Speechless features a trendy high-neck bodice with straps that flow over the open back. Providing a vintage vibe, opaque sashes tie into a feminine bow that hangs down over the back of the skirt. 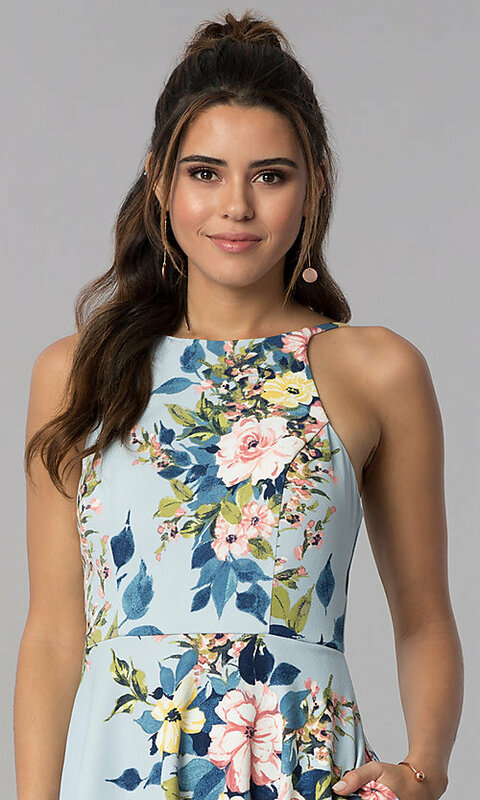 The figure-flattering short skirt flares away from the hips, while side pockets conveniently hold your valuables so that you can leave the purse at home. Available in junior sizes, this floral-print short blue party dress, under $100, is a cute style for casual to semi-formal events.